Computer Science (known in the media as coding) is one element of the current curriculum for computing. Much of the old ICT curriculum exists, but needs to be taught in a cross curricular way. Computing at School have done a fantastic job of putting the National curriculum guidance into plain English. Their guide here is a perfect place to start to understand what it is all about at Primary School and here for Secondary school. In essence, we are teaching the children to learn how to question how and why computers work. To be producers rather than consumers. 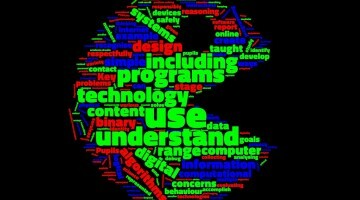 Most importantly to apply the skills and concepts learned in computing to all of their subjects. Most importantly, the skills of debugging (editing and improving). So what does it look like in schools? The image above is a nice way to look at the curriculum, as is a graphical representation of the word usage within the National Curriculum documents. The larger the font the more prominent the word usage. The words program and technology taking the centre stage. For some time now, I have been collating the software (and hardware) that can be used for teaching coding. With the help of the Twitter community, we have developed the list below, which is hyperlinked to where you can download the app or purchase the hardware. 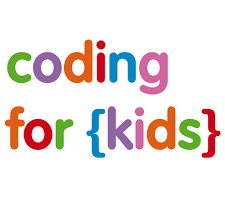 It is far from exhaustive but forms more than an ample start for anyone wanting to develop the teaching of coding in a primary school. It is also an extremely useful list for anyone who wants to attempt to code at an out-of-school club or even in the home. Here are the resources for EYFS and KS1. We will look at the other Key Stages in the next blog post.